St. Louis, MO (September 5, 2018) - The Donald Danforth Plant Science Center and the University of Missouri - Columbia (MU) announced that R. Keith Slotkin, Ph.D. and Bing Yang, Ph.D., have been appointed to joint faculty positions between the Danforth Center and MU. They are the second and third faculty hired through a collaborative initiative that aims to elevate regional plant science to address global challenges. The new faculty members will have joint appointments and will hold tenure at MU. 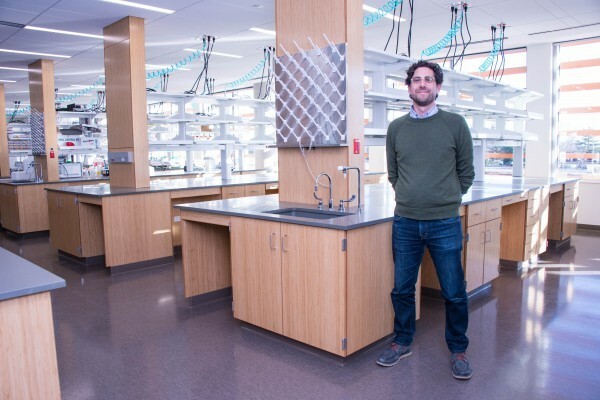 Slotkin started August 1 as associate member and principal investigator at the Danforth Center and as associate professor, Division of Biological Sciences, at MU. He will be housed at the Center’s Creve Coeur facilities. Yang’s appointment as professor, Division of Plant Sciences, and as member and principal investigator at the Danforth Center starts on September 1. Yang will be housed on the MU campus. Their arrival signals an expansion of the Center’s collaboration with the region’s leading universities, including Washington University and Saint Louis University. Blake Meyers, Ph.D., was the first faculty member to be hired as part of a joint initiative with MU, announced in 2014, to attract accomplished scientists focused on cutting-edge plant science and agriculture innovation to both institutions. The new faculty strengthen regional plant and crop research and provides opportunities for undergraduate and graduate students. The Slotkin laboratory are up and coming leaders in the field of ‘epigenetics’, which aims to understand how plant cells determine which regions of their DNA should be active or repressed. They are committed to the idea that a deep understanding of how plants function on the cellular level, together with dynamic collaborations will result in agricultural advances that enhance the environment, improve the lives of farmers and benefit consumers. Prior to joining the Danforth Center, R. Keith Slotkin served as associate professor in the Department of Molecular Genetics at The Ohio State University. “The Danforth Center is a truly dynamic atmosphere to further push my research. I am excited to combine and connect the strengths of the Danforth Center with the outstanding colleagues and breadth of MU,” said Slotkin. 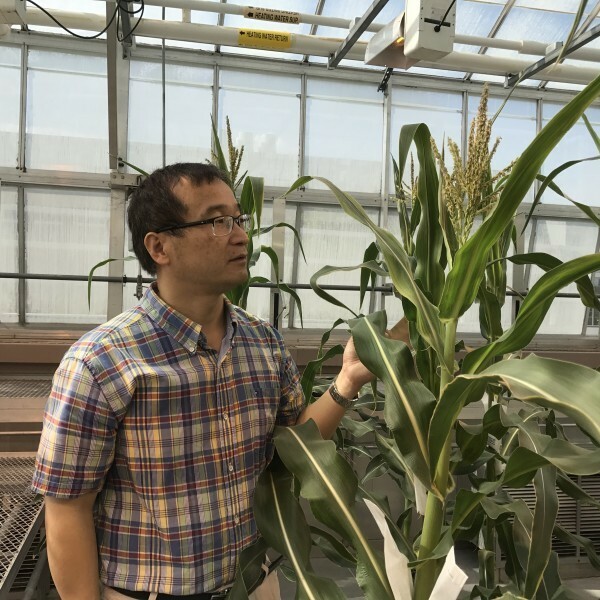 Yang’s research focuses on advanced biotechnologies that provide robust genetic and molecular tools to advance basic understanding of plant biology including plant responses to biotic and abiotic stresses. Subsequently, such knowledge coupled with enabling technologies such as optimized genome editing systems in different plant species empowers the development of improved crops. He previously served as associate professor, Department of Genetics, Development and Cell Biology, College of Liberal Art and Sciences at Iowa State University. “It is my great pleasure and honor to join the faculty of both MU and the Danforth Center. The joint faculty position opens an exciting opportunity to advance my research and broaden my collaboration among great scientists in two institutions and beyond,” said Yang. Founded in 1998, the Donald Danforth Plant Science Center is a not-for-profit research institute with a mission to improve the human condition through plant science. Research, education and outreach aim to have impact at the nexus of food security and the environment and position the St. Louis region as a world center for plant science. The Center’s work is funded through competitive grants from many sources, including the National Institutes of Health, U.S. Department of Energy, National Science Foundation, and the Bill & Melinda Gates Foundation. Follow us on Twitter at @DanforthCenter. The University of Missouri is the largest and oldest university of the state's major public, land-grant research institutions. MU is one of 36 public universities in the Association of American Universities (AAU) and is recognized for its national expertise in many academic fields. MU’s nationally prominent faculty scholars and scientists bring their expertise and discoveries into the classroom while publishing more than 1,600 books and scholarly articles each year and attracting multi-million dollar grants.